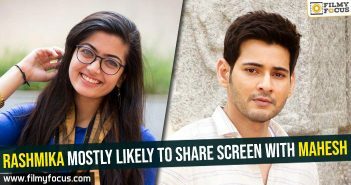 Rashmika Mandanna with Geetha Govindam became one of the best newcomers and in Telugu, she is aiming to become another Samantha or Anushka Shetty. She is currently wrapping up Dear Comrade and once she finishes the film, she will join the movie Bheeshma and she also has another big offer. Now, her Kannada film, Chammak is being dubbed in Telugu as Geetha… Chalo! The movie title seems to be a mix of the two blockbuster movies of the actress than really looking at the story. Movie became a blockbuster in Kannada strengthening the market hold of Rashmika in the Industry. We have to wait and see, how this one will fare in Telugu.